Simply put, cloud computing is the concept of hosting servers, applications and services offsite at a remote location. Most people are already “in the cloud,” even though they do not realize it. For example, if you have ever uploaded photos to Facebook or any other photo hosting site, you have successfully utilized cloud computing. When you upload the photos, they still reside in their original location, but they are also stored on the servers at Facebook, Flickr or the photo hosting site of your choice. Once your photo is uploaded, it is then accessible from any computer with an internet connection that can access that site. 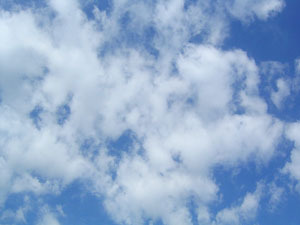 This is the most basic, and most popular, form of cloud computing. While the technology involved is fairly straightforward, many individuals and industry experts have raised an eyebrow at the potential for security issues arising from the use of cloud computing. Fortunately, this is an unfounded worry, and the security offered by cloud computing often far surpasses the levels of security available to most individuals and businesses. Unlike a traditional, in-house solution, cloud computing offers many levels of advanced security controls that are typically too expensive or complex for individuals and small to medium-sized businesses to utilize. The secured datacenters used by hosting companies are able to combine high-tech security with the latest and greatest in server room environment controls. This creates an environment that makes theft of equipment nearly impossible while providing the best protection against fire and heat available. Another key security advantage of cloud computing is the way security patching and updates are handled by the hosting companies. Each month, Microsoft and other vendors release numerous important patches and updates that need to be applied to servers. As a result, a business that hosts their own application or data servers onsite battles a seemingly endless barrage of security patches. Often, this activity alone will tie up IT resources and result in expensive server downtime. Due to the way patches affect operating systems and applications, many smaller businesses are forced to pay high-cost consultants to handle this activity, so they can remain secure. Cloud computing can take this persistent headache out of the picture. With many cloud-based solutions, the hosting company will maintain responsibility of keeping the servers and applications they manage fully patched. The patching and updates are performed by skilled IT professionals at the hosting company. This results in applications and servers being more secure, and it takes this overwhelming responsibility out of the hands of individuals and businesses. These benefits alone offer greater levels of security than many businesses and individuals have access to on their own. This combination of highly secured locations and professionally maintained machines creates an environment that greatly lowers the amount of risk incurred while providing high levels of availability and accessibility to vital data, applications and servers. Cloud computing might be relatively new to the limelight, but it is no security lightweight.